Born on January 18, 1858, in Hollidaysburg, Pennsylvania, Williams began an apprenticeship to physician Henry Palmer in 1878. He entered Chicago Medical College, received his medical degree in 1883, and opened an integrated practice on the south side of Chicago. From 1884 to 1889, he served as a physician at the Protestant Orphan Asylum, lectured in anatomy at his alma mater, and was appointed to the Illinois State Board of Health. Most Chicago hospitals at that time did not offer internships to African ­Americans or allow black physicians to practice. 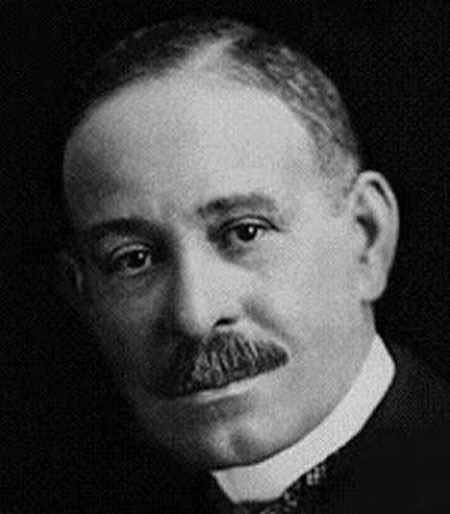 Williams was determined to open Chicago’s medical community to blacks, and in 1891 he founded Provident Hospital, where an integrated staff focused on training black physicians and nurses. In 1893 a man who had been stabbed in the chest was brought to Provident Hospital. After inspecting the wound, Williams decided that surgery would be the only means of saving the man’s life, despite the dominant attitude among surgeons at that time that operating on the heart was too dangerous to attempt. Williams opened the victims thoracic (chest) cavity and sutured a tear in the pericardium, the membrane that encloses the heart. The man recovered and lived for 20 years; Williams had performed the first recorded successful open ­heart surgery. Williams was appointed chief surgeon at Freedmen’s Hospital in Washington, D.C., in 1894. He made vast improvements there: he reorganized the administration, upgraded the facilities, strengthened the nurse ­training program, and decreased the patient death rate. Williams accepted a professorship of clinical surgery at Meharry College in Nashville, Tennessee, in 1899. The following year, he completed research disproving the belief (held by many of his contemporaries) that black women are not at risk for ovarian cancer. During the next decade, Williams helped establish numerous hospitals to serve black communities across the country. He died in Idlewild, Michigan, on August 4, 1931. Williams’s emergency surgery launched the practice of cardiac surgery and his achievements represented a vital step toward ending the segregation of medical care in the United States. The founding of Provident Hospital increased the opportunities for African­ Americans both to give and to receive medical care. The hospital provided improved medical services for the black community of Chicago, and as a full­ service hospital, it served as an excellent training ground for black physicians. Including the first nurse ­training program open to African­ Americans in Chicago, it offered black women a profession that had been closed to them previously. Williams was closely involved in the founding of integrated medical institutions in Tennessee. Provident Hospital also served as a model for other integrated hospitals in Missouri, Kentucky, Alabama, Georgia and Texas. After black physicians and nurses began to train and practice at these hospitals, the death rate among black patients dropped significantly. The open­heart operation Williams performed illustrated the plausibility of successful cardiac surgery. Surgeons became bolder, and the practice of open ­heart surgery eventually became routine. Some of the specific techniques Williams was forced to improvise during the first operation spread quickly among surgeons across the country, leading to a greater range of surgical procedures. Williams broke the confines of the racial inequality prevalent in late­ nineteenth­century American society and eliminated the taboo against heart surgery prevalent at that time. His commitment and success elevated him to the status of hero and made him a role model not just for African ­Americans, but for pioneers of medical innovation and progress.